Residential rental property forms the basis of the Fineberg Companies’ activities. The neighborhoods in which our properties are located are quite varied, and are generally located to the west of the center city. Names like Allston, Brighton and Brookline (actually a separate township) come to mind. These areas consist largely of families, professionals, and students. That should be of no surprise, given the number of different types businesses, hospitals, and educational institutions in our service area. 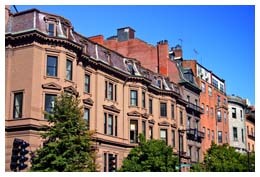 We think we perform a vital role in the life of the community by providing a substantial amount of rental housing to Boston’s diverse populations. The bulk of our holdings are the older, attached, multi-story brick buildings that dominate the city as a whole. We are, in fact, custodians of a high quality, but clearly "experienced” inventory of apartment buildings. 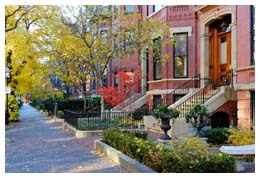 Boston’s housing stock -- our property included -- is part of what gives the city and its immediate suburbs their unique character and flavor. It’s a valuable urban resource, so we take good care of what we own. 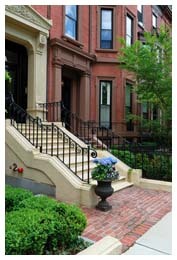 We have a long-standing reputation in the Boston area for service to our tenants and the overall good condition of our buildings. We pay close attention to the everyday things, like trash collection, building security and lighting, apartment interiors, appliances and general tenant satisfaction. When heating systems start acting up, we send in the service team. When brickwork needs repointing, we repoint. We do not let things slide. More than 40 years as a property owner has taught The Fineberg Companies’ management team that procrastination has no place in the real estate business. As a company, we understand the importance of routine, high-quality professional attention to our properties. We have a thorough program of inspection and maintenance that addresses building infrastructure and details that might not be apparent, even to long-term tenants. And when tenants bring their concerns to our attention, we have effective procedures that assure timely resolution. We do not allow small issues to turn into big problems. The Finberg Companies is committed to a proactive approach when it comes to our management style. It doesn’t take long for the buck to stop at the Fineberg Companies.